Entrepreneurs can always use motivational stories and words of wisdom to power through the good times and bad times. Last year, the biggest stars and athletes in the sports community captured our attention with messages of leadership, inspiration and a sense of commitment to their daily craft. After the Packers stumbled out of the gates this past season with a 1-2 record, Green Bay fans were ready to throw in the towel and move on to 2015. 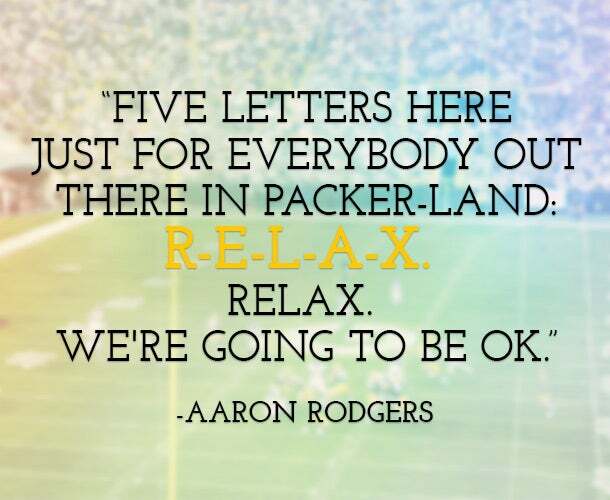 Yet, Packers quarterback Aaron Rodgers had a simple message for the Packers faithful. Business Lesson: An entrepreneur success story almost never happens overnight. Embracing the process, the necessary steps to reach benchmarks and fighting through adverse conditions are signs of a true champion in business. Never lose sight of the big picture. Cleveland Cavaliers star forward LeBron James, the NBA's best player, formally announced his transition from the Miami Heat to the Cavaliers in July of 2014. He ended his Sports Illustrated letter with this statement. Business Lesson: No one knows the value in hard work better than entrepreneurs, who start from scratch with their idea or invention and hope to turn it into a thriving business. 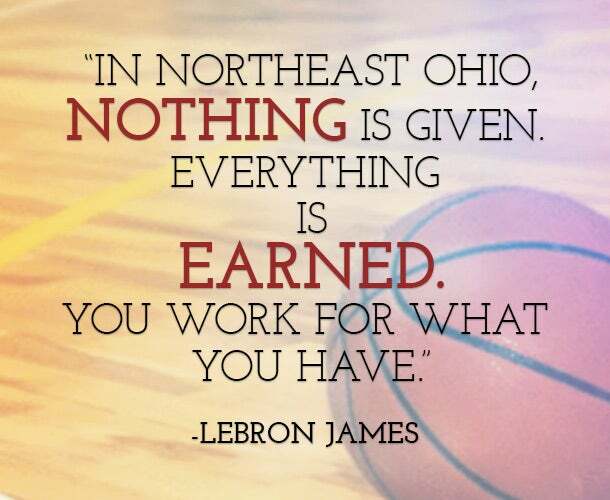 Remember, hard work is a daily task that must remain embedded into the DNA of a small business owner. Mo'ne Davis, star pitcher with the Taney Dragons who was the star of the Little League World Series, didn't mince words after a recent pitch-off with Los Angeles Dodgers MVP pitcher, Clayton Kershaw. She remarked by stating the following. Business Lesson: It's important to incorporate different elements of successful businesses into your own venture. At the same time, though, it's imperative to keep in mind that being creative and thinking outside the box are essential to moving your company's proverbial needle. Houston Texans All-Pro defensive end J.J. Watt had this to say about how he has continued to push the envelope with his performance year after year. Business Lesson: When you're at the top of any industry, you're always the hunted. If you fail to keep a watchful eye on the competition, listen to your customers' needs or innovate faster than other emerging businesses, you'll be left in the dust. In other words, don't get complacent with any ounce of success. T.J. Oshie, star of the St. Louis Blues hockey team and forward on the U.S. Olympic team, scored on four of six shootout attempts to propel Team USA to a 3-2 victory against Russia in the 2014 Winter Olympics in Sochi, Russia. 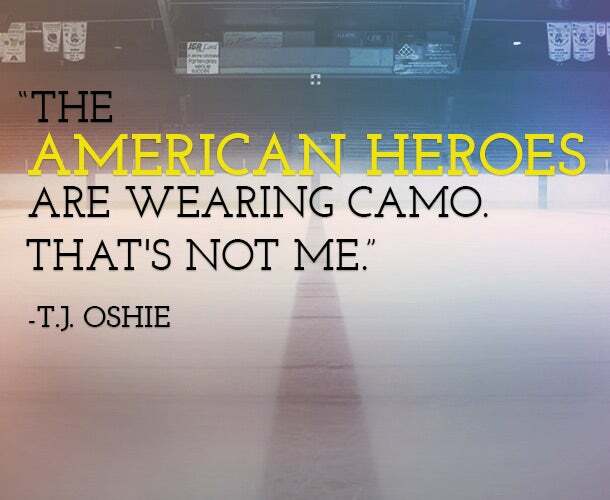 Some may have vaulted Oshie to hero status, but the Mount Vernon, Washington, native cited who the real American heroes are to him. Business Lesson: No matter the highs and lows, remember to keep the state of your business in perspective. It's futile to compare your six-month venture to a thriving century-old enterprise. If you're doing everything you can to improve your business, that is all anyone can ask for. Related: Stuck? 5 Ways Entrepreneurs Can Gain a Fresh Perspective.